For the first time at the annual NBAA convention this year, a collection of aircraft brokers belonging to the National Resale Aircraft Association (NARA) exhibited together on a 110,000 square ft space at the static display at Orlando Executive Airport. NARA brokers said they were on track for record years and despite the fact that the promised attendance of 27,000 – a 2,000 increase on last year’s show – was not evident on the static display, brokers said they were meeting prospective buyers and closing-in on deals. Jetcraft, which acquired Execujet Aircraft Trading last year, has already closed 54 aircraft sales this year, with 17 more aircraft under contract. It is on track for 80 transactions by the end of 2014, up from last year’s total of 60. Mente Group, another member of NARA, looks set to close 30 aircraft sales in 2014, up by 20 per cent year-on-year. Mark Payne and Brian Proctor, co-founders of Mente Group, said they had carefully considered whether to exhibit with NARA in the company’s fifth year at the show, and decided that it would be beneficial to developing relationships with other brokers. “There’s almost always another broker on the other side of the deal,” agreed Chad Anderson, president of Jetcraft and NARA board member. Both brokerages shared optimistic outlooks, although Anderson stopped short of predicting an increase in pre-owned aircraft prices for next year. “This time last year there were 25 G550s on the market, today there are 33,” he said. 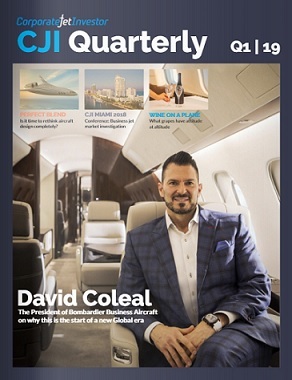 Although Mente brought a Gulfstream G150 to show, marketed at $8.5 million, and a $11.9 million Falcon 900EX – along with a Gulfstream G450 – the two founders did not expect to receive any on-the-spot offers. Instead, Mente – and other aircraft brokers – will often use shows like NBAA to allow prospective buyers to view an aircraft that they have already expressed an interest in (sometimes the buyer will have already signed a Letter of Intent). In rare cases, Mente has seen new buyers materialise very quickly after viewing the aircraft. Anderson said NARA’s debut at the show had provided an additional focus on Jetcraft, as well as the other NARA brokers. “I think it drives new traffic,” he said. Mente admitted that the footfall on the static display had been a little disappointing, although they claimed they were meeting a higher percentage of qualified buyers than at previous shows. Anderson predicts that next year, will see even more aircraft brokers exhibiting as part of NARA, which could include potentially the likes of Freestream and AvPro, which is leading the pack with projected sales of 130 aircraft for this year.